Here at WineWorks we designed this product with just two things in mind: Convenience and Style. 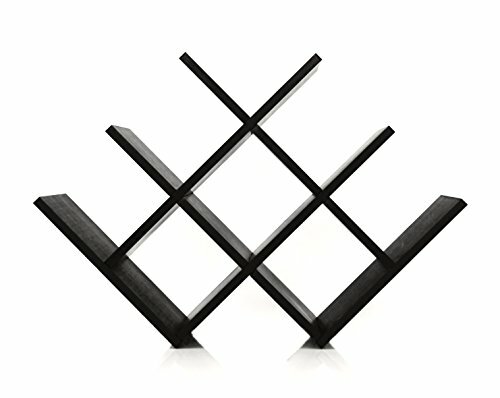 What we created is a modern wine rack that combines the efficiency of a butterfly design with the elegance of a jet-black finish on bamboo wood. We believe in serving the customer, and as such, offer a 100% money back guarantee to any customer who isn't satisfied with our wine rack. GREAT GIFT - The perfect gift this holiday season for any wine lovers who appreciate sleek design and unmatched functionality. MODERN DESIGN - The elegant wood grain texture and unique butterfly-shape make this piece the perfect addition to any room in your home. ECO FRIENDLY - WineWorks sources 100% Renewable Bamboo Wood for a lightweight and Earth-Conscious product. 100% MONEY-BACK GUARANTEE - Our product is backed by 100% guarantee that you are fully satisfied with your product or receive your money back. If you have any questions about this product by Wine Works, contact us by completing and submitting the form below. If you are looking for a specif part number, please include it with your message.